Radio Bilingüe is the leading Latino public radio network and content producer for the nation’s public broadcasting system. Its mission is to serve as a voice to empower Latinos and other under-served communities. Radio Bilingüe owns and operates 13 of its own full-power FM non-commercial stations in California and the Southwest and produces the first – and only – daily national Spanish-language news and public affairs programs in public broadcasting. Scores of affiliate stations throughout the nation carry the award-winning journalism of Radio Bilingüe’s Noticiero Latino news show and Línea Abierta call-in talk show – unmatched in public or commercial broadcasting. Radio Bilingüe’s 24-hour national satellite content service presents vibrant and diverse music and cultural programming and frequent productions promoting Latino community education, civic engagement, health and well-being. All programming is also streamed live at radiobilingue.org. 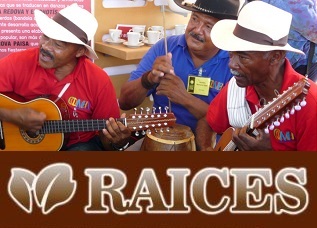 The radiobilingue.org website allows visitors all over the world to listen 24 hours a day, follow updates from Radio Bilingüe’s news service focused on Latino-oriented issues, send feedback and comments, browse our archive featuring historic Latino legends and events, and receive announcements of special events and programs. 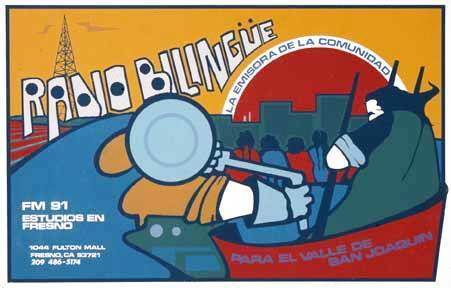 Radio Bilingüe was founded as a single non-profit station in California’s San Joaquin Valley in 1976 by volunteer farmworkers, activists, artists and teachers as La Voz que Rompío el Silencio — The Voice that Broke the Silence. With its national breadth today, Radio Bilingüe continues to counter inequities in access to the public airwaves, prizing its role as a pivotal medium for reaching socially, economically, and linguistically marginalized populations.